Dr Jessamy (BSc, MSc, DClinPsy, PgDip) is an award winning London-based Chartered Clinical Psychologist, author and commentator. With over 15 years in clinical practice, she works one-to-one with adults experiencing common mental health problems like anxiety, depression or low self-esteem. Co-author of the bestselling "THIS BOOK WILL..." series (rights sold in eleven countries), and a go-to media psychologist, regularly contributing content to almost every newspaper and magazines you can think of. She was also the headline speaker at Ted-X University of Nicosia in November 2017. Chris Banks has 20 years' experience working in and running tech companies. With a wealth of technical experience and a degree in Experimental Psychology from the University of Oxford, he brings a deep understanding of both the technological and theoretical basis of Noodle. He advises startups and corporates on product management, artificial intelligence, and building high-performance teams. He's excited to be involved in a project with the potential to help millions of people live happier lives. 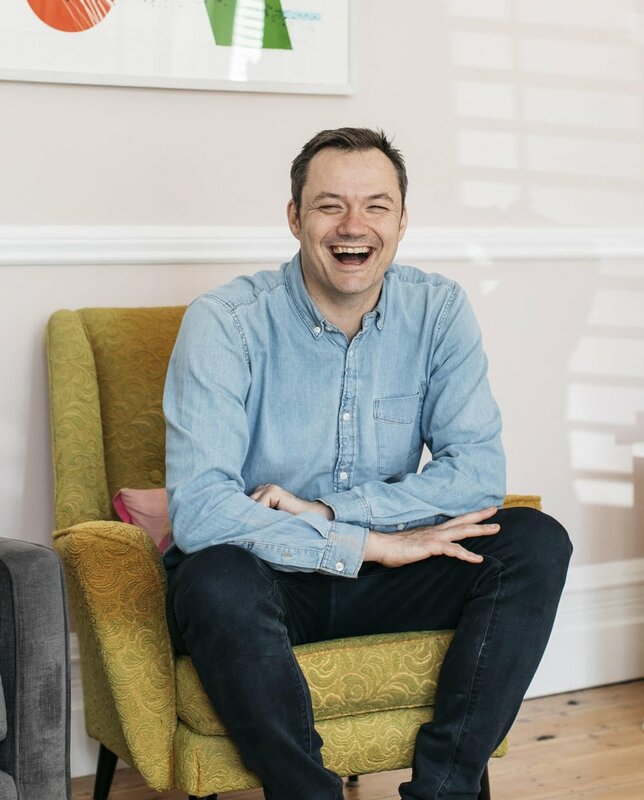 Jack Hibberd has a career that has spanned everything from journalism to food & drink manufacture (by way of tech and online markets). He brings top level experience of managing high-growth businesses from incubation to exit and specialises in marketing, sales and business process improvement. He is delighted that he can support his wife in building a business that can be a real force for social good.